Starting 9 | Listen Free on Castbox. Barstool Sports presents the baseball podcast that everyone wants but no one else will give you. Do you care about play by play baseball coverage? We don't either. This is the pod for fans of America's greatest pastime who want hosts willing to cut through the noise and talk about the game the way we really see it. Hosted by MLB great Dallas Braden and Blogger Jared, The Starting 9 makes baseball podcast listening fun again. Barstool Sports presents the Starting 9, featuring Jared Carrabis and Dallas Braden - the baseball podcast everyone wants but no one else will give you. This week's episode starts off with a comprehensive breakdown of the Tim Anderson-White Sox-Royals situation from Wednesday, before moving fully into the 2nd edition of the Groundscrew Appreciation podcast - we answer a ton of Twitter questions from the listeners, while also bringing back the Homer Minute for a few good minutes of ranting. 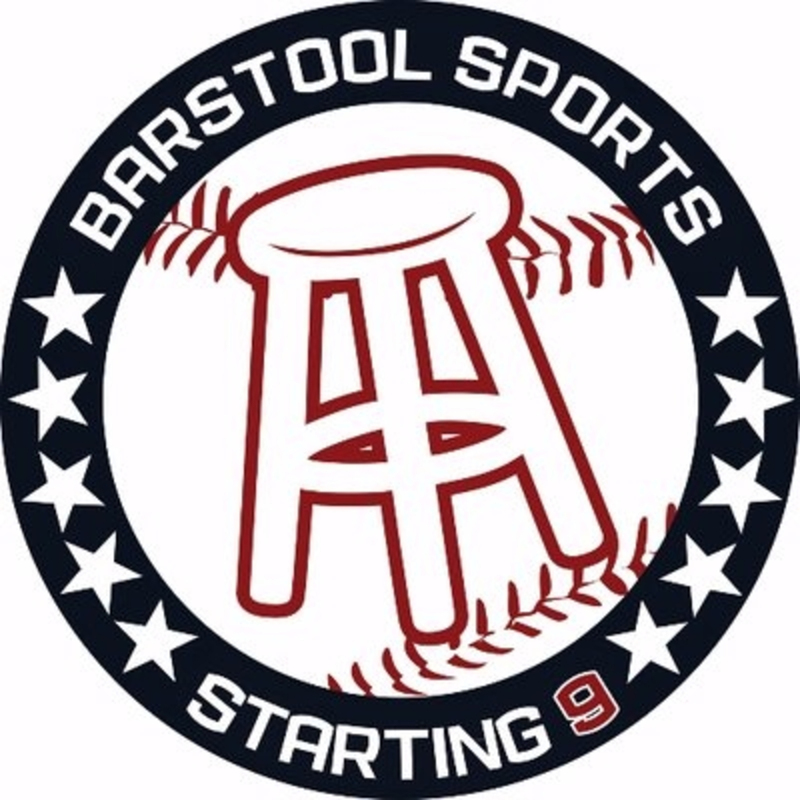 Barstool Sports presents the Starting 9 podcast, featuring Jared Carrabis and Dallas Braden - the baseball podcast everyone wants but no one else will give you. This week's episode features an interview with current Twins masher Nelson Cruz, who talks with Jared about all sorts of things - his expectations for his debut season with the Twins, his run with the Mariners, his hitting experiences against Dallas Braden and much more. The crew gives plenty of love to two of the best team stories from April so far in the Padres and Rays; breaks down the controversial Ozzie Albies contract extension; discusses the injuries to Gary Sánchez and other Yankees, the demotion of Sean Newcomb and the impending arrival of Vlad Guerrero Jr. And, of course, Dallas and Jared also answer Twitter questions from the #groundscrew. Barstool Sports presents the Starting 9, featuring Jared Carrabis and Dallas Braden - the baseball podcast everyone wants but no one else will give you. This week's episode features a rundown of the biggest stories of the week - Chris Davis' run of futility; the Mariners blistering hot start; putting a bow on Archer, Puig and the brawl. The crew also runs through the injuries to Mike Clevinger, Jon Lester and Luis Severino, while also looking at the Cardinals extension with Matt Carpenter. Dallas and Jared also play ‘Deal or No Deal' on some of the hottest and coldest starts to the season. And, at the very end, the crew is visited by a surprise guest on the phone. Barstool Sports presents the Starting 9, featuring Jared Carrabis and Dallas Braden - the baseball podcast everyone wants but no one else will give you. This week's episode features an interview with current Giants and former Blue Jays outfielder Kevin Pillar, who talks about his time playing for the Blue Jays, what it's like to represent an entire country, his spectacular, highlight-reel defense and much more. Dallas and Jared break down the Pirates/Reds/Chris Archer/Derek Dietrich brawl from Sunday from all the angles; talk about the injury and transaction news of the week; preview some hot series starting in the early half of this week, including Nats/Phillies, Yanks/Astros, Dodgers/Cardinals and Braves/Rockies; and, of course, the crew answers Twitter questions from the fans. Barstool Sports presents the Starting 9, featuring Jared Carrabis and Dallas Braden - the baseball podcast everyone wants but no one else will give you. This week's second episode (now a regular feature during the regular season) touches on the biggest storylines across baseball this week: Bryce Harper's epic return to DC; the continued brilliance of Jacob deGrom; the early season issues in Boston and with Chris Sale; as well as the notable transactions and injuries that occurred since the last podcast, including Ronald Acuña's extension, Tito Francona sticking in Cleveland and the injuries to Trea Turner and Troy Tulowitzki. The crew also answers Twitter questions from the #groundscrew. Barstool Sports presents the Starting 9, featuring Jared Carrabis and Dallas Braden - the baseball podcast everyone wants but no one else will give you. This week's episode features an interview with two of the bright stars of the Dodgers - budding ace Walker Buehler and one of 2018's breakout players, Max Muncy. The crew looks at the standout storylines from the first week - including Bryce Harper in Philly and Christian Yelich's MVP defense - along with other news of the week (Yankees injuries, Bogaerts extension, and injuries to Knebel, Murphy and Upton). Dallas and Jared also discuss their first-week ‘overreactions' by division, and answer Twitter questions from the #groundscrew. Barstool Sports presents the Starting 9, featuring Jared Carrabis and Dallas Braden - the baseball podcast everyone wants but no one else will give you. This week's episode features an interview with a white wale of a guest - former AL MVP and current Atlanta Brave Josh Donaldson. The crew also hits on the wave of big-money extensions for some of the game's biggest stars - Sale, deGrom, Goldschmidt, Verlander among them - while also finishing up the Division Preview series with the AL East and NL West. The crew wraps up by making picks for the main awards in 2019 - MVP, Cy Young, Rookie of the Year and Manager of the Year. Happy baseball! Barstool Sports presents the Starting 9, featuring Jared Carrabis and Dallas Braden - the baseball podcast everyone wants but no one else will give you. This week's episode features an interview with current Giants 3B Evan Longoria, who sat down with Dallas and Jared to discuss his career to this point, they recap the epic “Game 162” from his Rays days, talk his rookie season experience and much more. The crew also delves into a ton of news from the week, including the record-breaking extension for Mike Trout and the $100M deal inked by Alex Bregman, as well as the signings of Gio Gonzalez, Carlos Gonzalez and Michael Fulmer's injury. In addition, the Division Previews continue, this time with the NL East and AL Central. Barstool Sports presents the Starting 9, featuring Jared Carrabis and Dallas Braden - the baseball podcast everyone wants but no one else will give you. This BONUS EPISODE breaks down all the proposed rule changes and adjustments coming to baseball in 2019 and 2020, pitting Starting 9 members against each other: 3-batter minimum, All-Star Election Day, $1 million prize for the HR Derby, mound visits, roster sizes and more! Barstool Sports presents the Starting 9, featuring Jared Carrabis and Dallas Braden - the baseball podcast everyone wants but no one else will give you. This week's episode features an extended, casual sit-down conversation with a trio of Milwaukee Brewers - reigning NL MVP Christian Yelich, Travis Shaw and Eric Thames, who joined Dallas and Jared from Spring Training in Arizona. Nearly every possible topic was covered. In addition, the crew hits on the news of the week (Adam Jones, Kyle Seager, Clayton Kershaw, Vlad Jr, etc), while also beginning their Division Preview series, starting with the AL West and the NL Central. Dallas and Jared wrap it all up by answering Twitter questions from the #groundscrew.